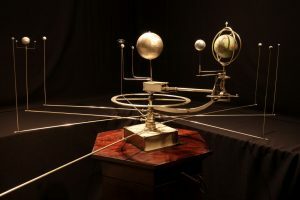 The main foyer contains a 19th Century Orrery which was donated to the observatory by Howard Anderson, a member of the British Sundial Society. 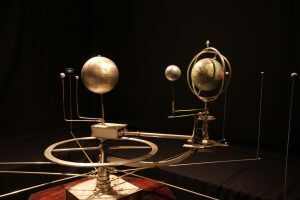 The restoration was by members conducted by members over 18 months with assistance from the Cambridge Design Parnership who 3D Printed some of the planets. 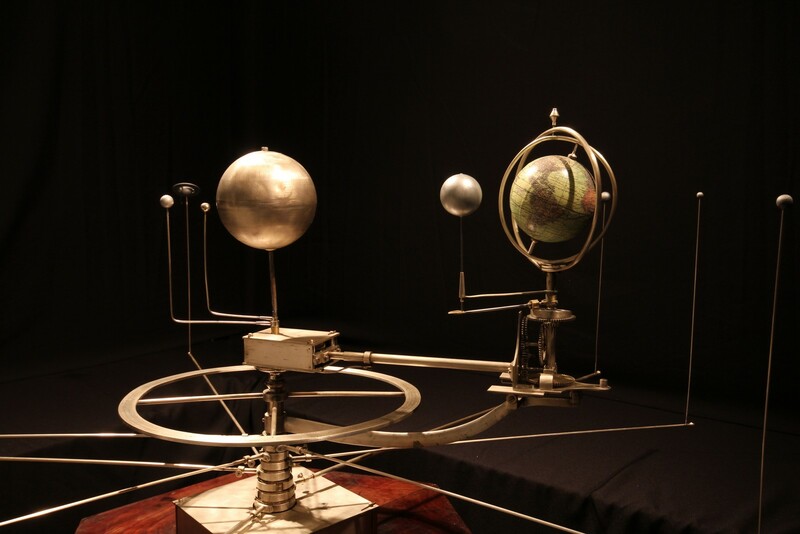 This is a mechanical model of the solar system, showing the Sun, Earth, Moon, planets and major asteroids. It can be used to show or predict their relative positions, or the clockwork mechanism can demonstrate their motions.